50% of the beneficiaries of the Foundation GiveCrypto are Venezuelan, the charity launched by Brian Armstron, CEO of Coinbase. What began in an experiment of $ 1,000 dollars in Bitcoins for charity, continues to be a satisfaction for many Venezuelans and Third World countries with problems of critical poverty and inflation like Bangladesh and Uganda. The $ 1,000 Crypto experiment was a proof of concept for GiveCrypto, the charity launched by Brian Armstrong, CEO of Coinbase last year as a way to distribute wealth in cryptocurrencies directly from the millionaire donors of cryptospace. 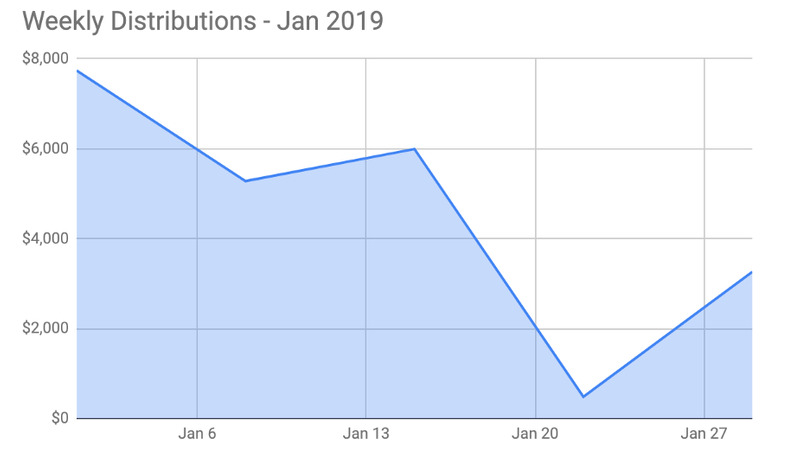 Since then, GiveCrypto has conducted lots of experiments in crypto-charity, most of them in Venezuela, in its year and a half of existence and in other countries of the world, as indicated by its monthly reports published on its official website. Regarding the latter, it is indicated that January 2019, although no new program was initiated, they continued distributing cryptocurrencies for the programs launched in 2018, distributing $ 22,578 to 528 people; with great emphasis on the FreeFrom project, which helps victims of domestic abuse to achieve financial independence, as its website points out. For now, the institution has been focused on its Ambassador program to achieve greater effecient distribution of resources in the sites of interest of the foundation. It is worth noting that according to the tables presented in October, November and December of 2018 on the projects used for the donation and empowerment of low-income people with cryptocurrencies, Venezuela occupies 50% of the beneficiaries of the entire universe of influence of the foundation, with 1,089 people benefited from the little more than two thousand lucky ones. It can also be observed that 28.92% of the resources delivered during the last quarter by the foundation worldwide, fell into the hands of Venezuelans for an amount amounting to $ 20,445 dollars, which on average would be $ 18,7 dollars donated to each beneficiary. Of the most outstanding projects in the South American country, the Santa Elena - Barquisimeto project is highlighted, as a result of the work carried out for immigrant Venezuelan refugees in the Venezuelan border state of Bolívar with Roraima in Brazil. The project, due to the problems of Internet connection to give access to resources and recommendations from a local partner, moved to the western Venezuelan city of Barquisimeto, where to date they have recruited 79 families receiving a goal of 100, to receive transfers in crypto-currencies and thus protect themselves from the devaluation of the local currency to cover basic food needs. 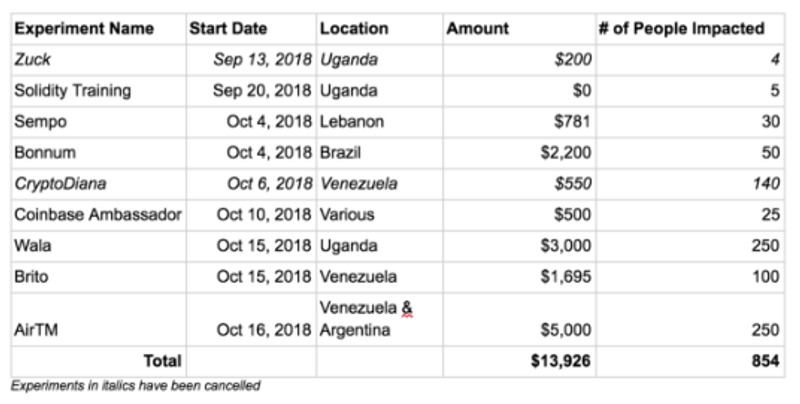 It is worth noting that GiveCrypto, through its Manager Joe Waltman, has made it clear in recent interviews that most of his projects have focused on helping Venezuelan refugees living inside the country to meet basic needs due to hyperinflation. unprecedented that the South American country lives. "Its 12-month inflation is like 500,000 percent. Country number two is like 80%. If you're really thinking about Inflation, there's no reason to think of any other place. " He also indicated that his interest and that of the Foundation is to enter areas where the "government is broken," as in the case of the refugee camp in Banglandesh, victims of the Rohingya genocide and Venezuelan immigration. For now, the foundation works hard to polish its Ambassador system, in order to expedite the help in crypts through a unique opportunity to combine software and cryptocurrencies, to maximize decision-making to the limit, in the local communities and not sitting in an office in New York or San Francisco as is normally the case with traditional charitable foundations.